Marketing Strategy Musings - Strategy Dude (Edmund Wong's blog): Palm Brand Resurrected? 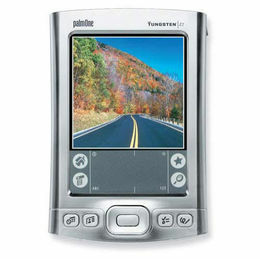 I was surprised to hear this week that Chinese consumer electronics company TCL had acquired the rights to the Palm (yes, as in Palm Pilot!) brand name from HP. As described by its CEO, TCL plans to resurrect the brand for the smartphone market, billing it as the largest "crowd sourcing" project the world will ever see. TCL currently has a lesser known phone brand called Alcatel OneTouch. I was an early adopter and huge fan of Palm handhelds at the turn of the millennium. I was quite sad when HP mothballed Palm in 2011 (see related blog post). Thanks, Leo Apotheker! Ultimately, LG acquired the WebOS from HP in 2013 for their smart TVs. It was nice to see LG continue to innovate with WebOS 2.0 at CES this week. (Samsung recently announced it's using its own Tizen OS for its smart TVs.) In this capacity, WebOS is more of an ingredient brand to LG products and consumers probably don't associate it with Palm. This play by TCL to resurrect the Palm brand is an interesting branding case study in the making. Their plan to tap into the developer community and legacy Palm fans is a bold move and an assumption that all these folks, including myself, have not already moved on to the 2 most popular mobile OS platforms out there today -- iOS and Android. In my mind, Palm was an early pioneer in tapping into developers for 3rd-party apps that ran on Palm handhelds. Documents To Go, Avantgo, and IR Battleship were some of my favorite Palm apps. But where they fell short was not having a centralized app store that Apple launched years later in 2008 in order to help users discover and trust these 3rd-party apps and a developer-friendly revenue share model for monetization. And the Treo was a good early smartphone. It makes me sad just thinking about how Palm squandered its leadership position in this space, but it happens to the best brands. So the question now is can latecomer TCL succeed where Microsoft and Blackberry are still struggling to gain OS market share? What brand equity is left in Palm after being absent from the consumer mindset really for so many years? My own professional experience working with developers, whether they are start-ups or major brands, is there is always a need to prioritize which OS to build your app for first. Today, that's iOS and Android. I remember even just a few short years ago how hard it was to convince clients to build for Android and not just iOS! And Microsoft has even tried to "bribe" developers to build for Windows with little success in moving the needle. How many brands have succeeded in similar situations? Not many. Myspace, even with the star power of Justin Timberlake, has not rebounded. In 1999, LG acquired Zenith (who believe it or not was the first to develop HDTV in North America), and that didn't really work out for that storied brand. Blackberry is trying now too and its recent launch of the Classic is really trying to go back to its most loyal fans. Good luck, Mr. Chen. Perhaps the most famous exception and success story of all is the revival of Apple when Steve Jobs returned in 1997. Apple computers were replaced by Wintel PCs until Apple, through Jobs' vision, product innovation and memorable advertising, was reborn from the ashes like the legendary phoenix. Enough said as we all know how that has turned out for Apple and its shareholders! It'll be interesting to see if TCL can turn this brand around. Fellow Chinese tech company Lenovo did a great job with the IBM Thinkpad brand. Of course, Lenovo has its hands full as well with their $2.9 billion acquisition of Motorola, another storied brand that brought us the original flip phone and Razr. So far I like how Lenovo CEO has said he will differentiate the Lenovo and Motorola brands through pricing and distribution channels. While I'm an Android fan today, a small part of me will cheer on Palm (and TCL) for a comeback.